You can easily update your contacts on your Projects Dashboard. 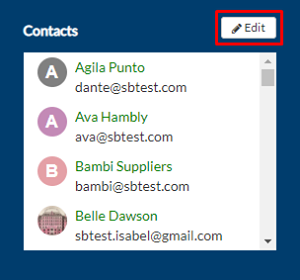 On your Contacts panel, click Edit. 2. Click Edit on the contact that you wish to update. You will be redirected to the corresponding contact's details. 3. 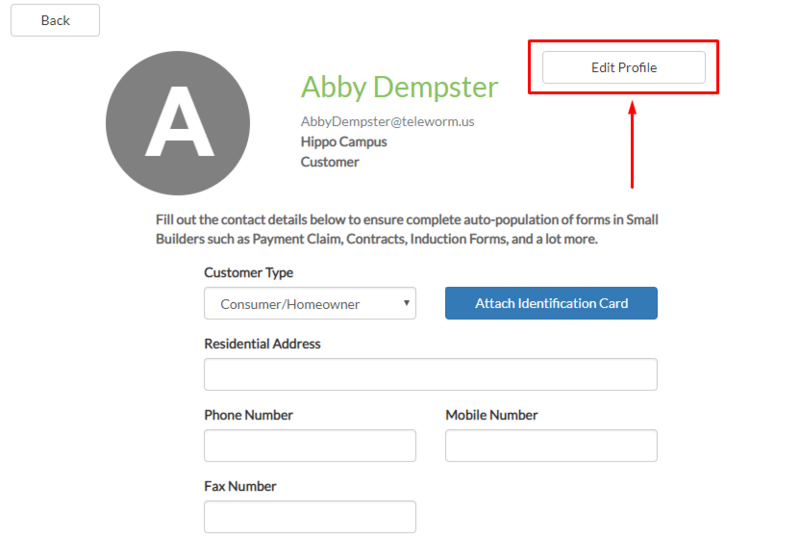 To update your contact's Name and/or Email Address, click Edit Profile on the upper right corner. 4. Update the contact's Name (with the green font) and the contact's Email Address. Once finished, click Done. a. To update Customer Type, click on the drop down menu and select one between Consumer/Homeowner and Business Trust. b. To update Identification Card, click Attach Identification Card button. Select a copy of the customer's Identification Card from your computer. c. To update Residential Address, edit the content of Residential Address field with a new input. 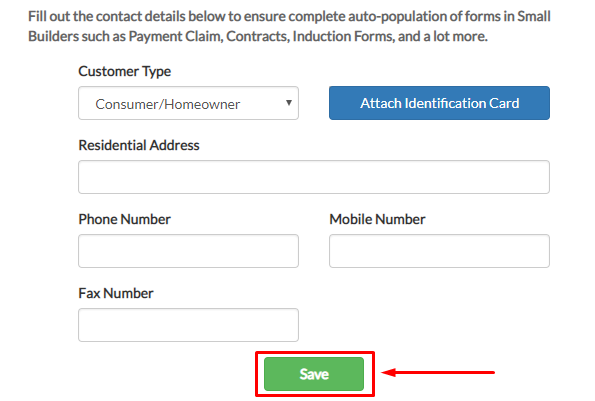 d. To update Phone Number, edit the content of Phone Number with new input. e. To update Mobile Number, edit the content of Mobile Number with new input. f. To update Fax Number, edit the content of Fax Number with new input. 6. To apply all changes, click Save. 1. To edit the projects where the contact is involved, click Choose a Project and select one on the drop down menu. Note: Projects that are reflected on the drop down menu are those projects you have created. These are the active projects that your company is currently doing. a. To add a project, click the Add (+) Button. A new row would be added. b. You can make the contact be involved in all projects by ticking the Access to All Projects checkbox. c. To delete the projects that you wish to remove from the contact's involvement, click the x button. c. You can select which user type you are going to assign your contact per project. Click on User Type drop down menu to select one. Note: Cost Rate per Hour field only becomes editable when you have selected Employee or Manager as User Type. 2. Once finished, click Done. Teams that are reflected here are those teams that you have created on your Teams tab under contacts. 1. To edit the teams where the contact is involved, click Select an Option and select one on the drop down menu. a. To add a team, click the Add (+) Button. A new row would be added. b. To delete a team that you wish to remove from the contact's involvement, click the x button.